Buy TheTrendingBuzz a Coffee. ko-fi.com/thetrendingbuzz - Ko-fi ❤️ Where creators get paid by fans, with a 'Buy Me a Coffee' button. Here at The Trending Buzz, we’re not like any other news website you might have come across before. Not only do we bring you information on the breaking news everyone is talking about, we also provide you with the fresh information you want to hear about to start a conversation going too, with topics you’ll just have to talk about! Secured Payments. 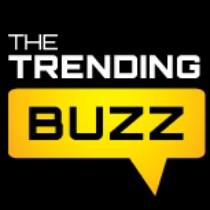 Support goes to TheTrendingBuzz's account. Upgrade TheTrendingBuzz to a yearly Gold Membership with a one-time payment.